There are over 100 different 4-H Projects that youth can participate in, explore, and show at the fair. From animal science to hiking, citizenship to gardening, STEM to theater, there are so many ways that you can get involved and so many opportunities to try something new! A ‘project’ is simply a topic that you can explore. If you’d like to learn more about the different projects you can explore please visit the Wisconsin 4-H Projects Page. Once you have found the projects that interest you be sure to sign up for them in your 4HOnline account. You can try new projects whenever you like, but there is a project sign-up deadline if you want to show the project in the fair. Also, some projects, such as animal projects, have additional requirements to show in the fair. It is important that you talk with your project leader so you can meet the requirements to show at the fair. It should also be noted that there are different activities/events hosted for some projects throughout the year that are different from the fair. These include, but are not limited to, events such as the 4-H Foods Revue and Ashley for the Arts Event. Click on the links below to learn more about some of the different projects that Trempealeau County has to offier. 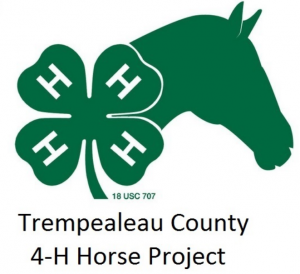 Please note: These are NOT the only projects you can take when you become a part of Trempealeau County 4-H, but are some of the projects that require more explanations. Below are some of the larger projects in Trempealeau County. Some of these projects have more requirements in order to show at the fair, or events that you need to be involved in before the fair in order to participate. Contact information is provided below for these projects so you can reach out to the project leaders if you have questions. This includes market beef, market swine, and market lamb. The Fair Shoot is the last event of the program and before you can participate in the Fair Shoot youth must pay their $7 entry fee to the fair before the event. They can pay online by going to the Fair Website, Choosing ‘More’, and then going to the ‘Fair Store‘ to find the correct category. Payment is submitted online.